Many eBay shoppers know that sinking feeling only too well: The utter, absolute agony of de­feat that comes when your attempt to win the latest must-have doll or doll-related item is spoiled by a last-minute, deeper-pocketed bidder. You replay the depressing scenario re­peatedly and wonder why, oh why, did that auction have to end when I couldn’t be at my com­puter to coun­terattack the down-to-the-wire bid blitz? Heather Russell is aware that bidder disappointment is a universal condition that knows no boundaries, whether the foiled would-be buyer is in the U.S. or her adopted homeland of the Far East. So she figures she’s meeting a perpetual need with Rinkya (www.rinkya.com /search.php), a Tokyo-based auction service that exists to make bidding a less stressful experience. 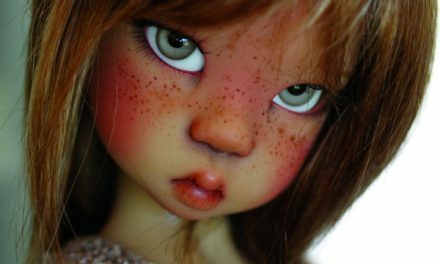 Customers from virtually any country are able to enter proxy bids for a wide variety of auctions offered through Yahoo Japan, from American dolls to Asian Dollfies. (Countless other non-doll-related items also are available, of course.) For a percentage of the winning-bid price and handling fees, Rinkya handles all aspects of the buying experience, in­cluding language translation, payment provisions and delivery options and specifications. Rinkya’s extensive English-language search engine allows customers to find listings for a seemingly unlimited range of items. In addition to auto-bidding services de­signed to help prevent sniping, Russell’s online offerings include Rinkya Stores service, which lets shoppers order from Japanese stores and BuyRinkya, a retail shop that also provides access to Japanese items. A variety of shopping guides, informational sections, a doll news blog and Super Dollfie newsletter round out Rinkya’s menu of choices. Since opening its doors in 2003, the company has become a multi-million-dollar operation that employs a 20-mem­ber staff—including Russell’s brother, Scott, and sister, Laurel—that is split between Japan and the United States. And that’s a noteworthy result, given that Russell was never previously interested in dolls. As a youngster growing up in New York, she was wild about toy cars, stuffed animals and sci-fi films such as Star Wars and Godzilla. An early turning point came when her parents gave her a Toho Godzilla—complete with a movable flaming tongue and flying fist—for her fourth birthday. Russell’s appetite for Japanese entertainment was further whetted when a friend later in­troduced her to the Japanese animation character Ranma, a cursed young boy who turns into a girl when he’s exposed to cold water. “My real passion for Japan started with Ranma because I wanted to really understand what the characters were saying and not just read the subtitles,” Russell notes. Russell later began collecting Ranma trading cards, which led to a deeper immersion in all things Japanese, as well as an unintentional career path. At age 18, she discovered a small community of Japanese-animation fans—and enticing, expensive Japanese-animation cels—on the Internet. In order to fund her wallet-draining hobby, she entered the cel-seller arena with her first company, Usagi’s House. Soon, the Arizona State University student started studying Japanese in preparation for a planned trip to that country. She ultimately used a friend’s frequent-flyer miles to visit Tokyo. An enduring love affair was born as soon as she reached her destination. But when Japanese studios stopped producing cels about five years ago, Russell realized she would need another income source. A customer presented a programming model for Rinkya and asked Russell to build a business from the concept. She reluctantly agreed, and then quickly began to see the potential success for the proposed auction service. What began as a small-scale shipping service out of Russell’s apartment escalated to a multi-employee operation that required expandable warehouse space. Then more warehouse space. Expanded boundaries, horizons and doll play options? 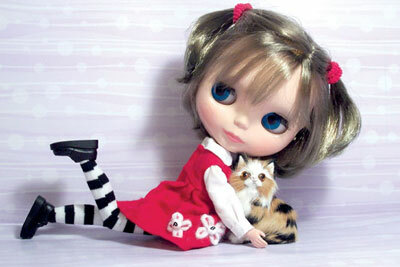 It’s no wonder that Rinkya has struck a responsive chord with doll collectors, both U.S. and abroad. 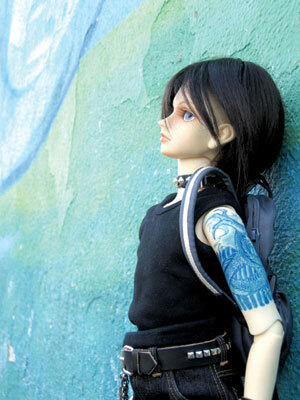 Ball-Jointed Dolls – What Supplies Do You Need to Get Started?